Firstly I am sorry that I can’t resist to write this special article before I continue my other articles about Bali Wedding Cost as I am often asked by many Brides and Grooms about Bali Wedding with Buddhist Ceremony. 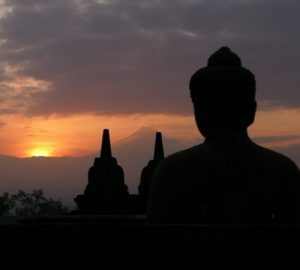 As you may know Buddhism is one of religion which is recognized by the Indonesia Government. So Yes, legal wedding with Buddhist Ceremony is possible and also Commitment Ceremony. Most Buddhist couples will choose to have ceremony at the Vihara or Buddhist Temple for more religious and secret ceremony however it is possible to have it in your special chosen place. 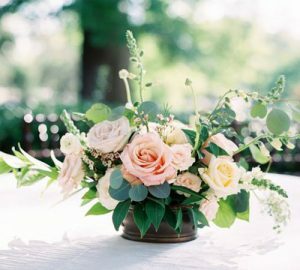 If you choose to have it in your choice venue, you will need to inform in advance to your wedding planner and make sure it is 100% possible. The basic procession of Buddhist Ceremony is similar with Christian Ceremony and will be led by Pandita or Buddhist Monk. 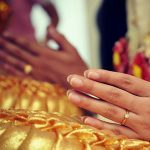 For legal wedding, the religious certificate will be issued by Buddhist Society, called WALUBI and followed by Civil Ceremony by Civil Office Bali. Copy valid Passports of 2 witnesses. (If you do not have any witnesses, HappyBaliWedding.com will provide). The original Certificate of No Impediment to Marriage from Bride/Groom’s Embassy/Consulate in Bali or Indonesia. 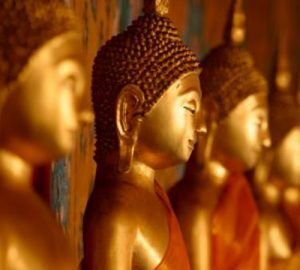 For Commitment Ceremony by Buddhist Blessing, you may only need to provide copies of Bride and Groom passports and witnesses if any, for wedding planner to issue your commemorative certificate. Cost for Bali Wedding by Buddhist Ceremony. I am looking forward to helping you with your Bali Wedding’s dream and make it unforgettable moment of a lifetime.